If you use a motorcycle to get around, then you may want to buy a holster designed for motorcycle carry. Regular gun holsters are sometimes uncomfortable when worn on a motorcycle. Below we have outlined the top six motorcycles holsters based on customer ratings, concealment, quality, and comfort. Made of lambskin leather, this motorcycle holster is gentle on your bike. It won’t scratch the paint job. The Daytona Gear Gun Holster Motorcycle Magnetic Tank Bag has a removable gun holster. You can adjust the removable gun holster in any direction. The bag’s main compartment zips open and close. 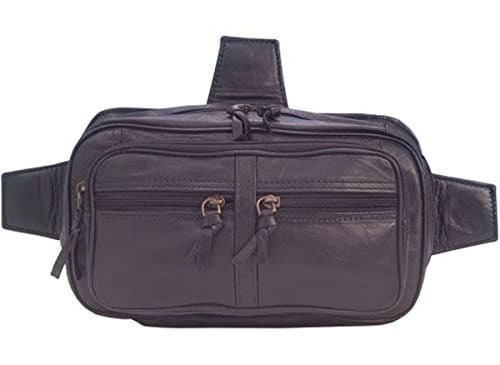 This gun holster bag features a front zippered pocket with two smaller zippered front pockets. You can attach the gun holster bag to your belt via the leather loops on the back. The Daytona Gear Gun Holster Motorcycle Magnetic Tank Bag has strong neodymium magnets. These magnets keep it safe at high speeds. You can easily access the items while riding the motorcycle as well. The bag fits almost any motorcycle that has a gas tank. 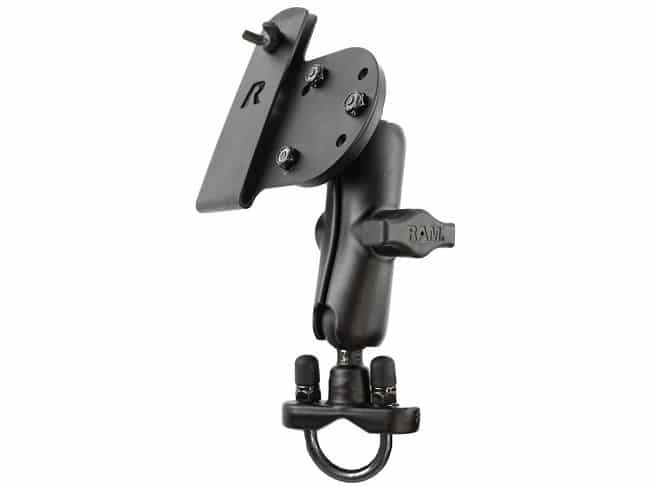 The RAM Mounts Hand Gun Holster Handlebar Mount attaches to your motorcycle. This motorcycle holster is easy to install and adjust. It works for a variety of motorcycles as well. The gun holster handlebar mount features a socket and ball design with an elastomeric rubber ball. It’s non-slip for better safety. The motorcycle holster also features shock and vibration dampening to protect your gun while riding. It’s made in the USA, a selling point for those who prefer American-made products. A good, inexpensive motorcycle holster you can use is the Eilin Tactical Thigh Drop Leg Holster. It keeps your gun positioned at a comfortable angle while you ride. The holster’s wraparound design and elastic leg straps provide a lot of room for adjustment. The elastic leg straps have a maximum leg circumference of 19.68 inches. And the removable belt hanger has an adjustable height from 9.45 inches to 15.75 inches. 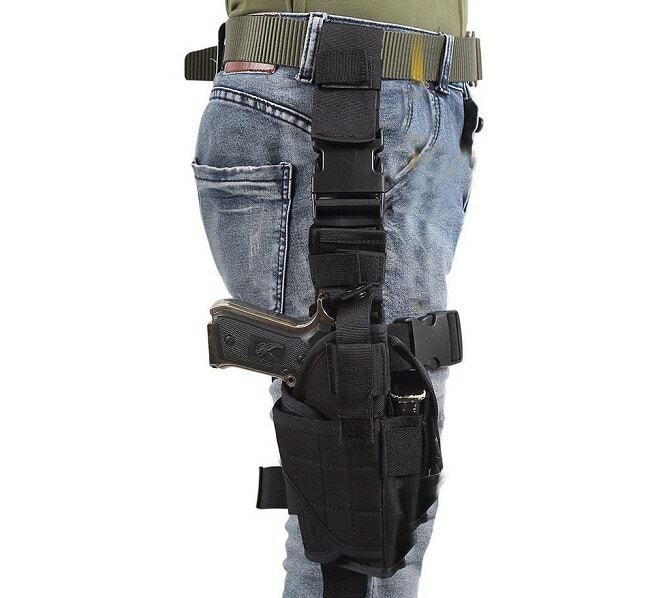 The Eilin Tactical Thigh Drop Leg Gun Holster is made of 600D Nylon. It’s tear-resistant and wearproof. With a tactical design, your gun is always in the ready position. One can use motorcycle holster for self defense, hunting, paintball, law enforcement, and more. Pistols with a laser or flash light mount fit inside the holder. Some gun holster manufacturer holster clothing. 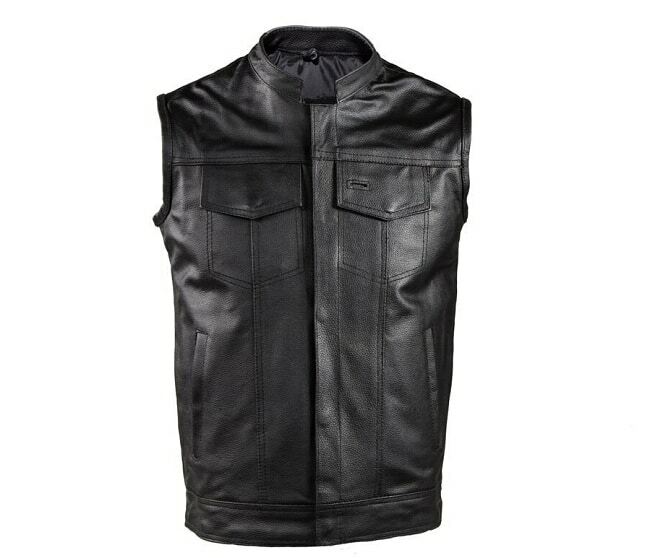 A great option for motorcycle riders is the CSG Clothing Service Mens Black Leather Concealed Carry Vest. Instead of carrying your weapon on the motorcycle or your leg, it’s tucked in the vest. 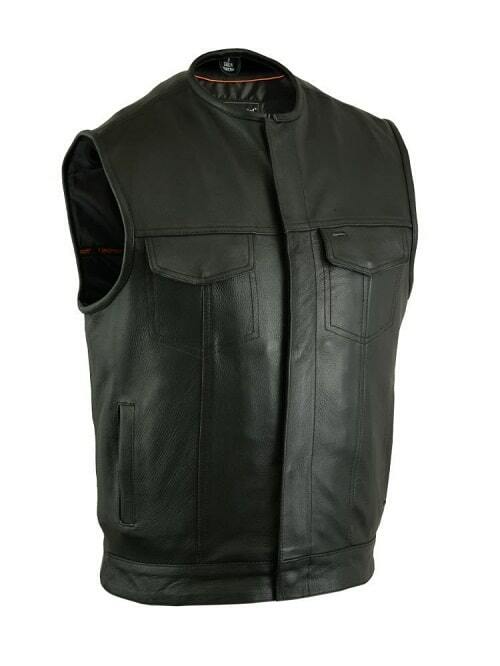 The motorcycle holster vest is made of genuine leather. Not only is it suitable for biker fashion but it’s a high quality material for holsters. It has two interior gun pockets and one holster. The motorcycle holster vest is available in sizes L to XXXL. Another good concealment motorcycle vest is the Daniel Smart Concealed Snap Closure Motorcycle Holster Vest, made of soft milled cowhide. Bikers can accessorize the single panel back with patches and club logos to truly make it their own. One can decorate the back with embroidery and air brushed art work as well. The front zipper helps block out wind and rain, making it comfortable to wear on rainy or windy days. Inside the jacket, you’ll find two gun holsters for concealed carry. The holster vest features reinforced shoulder support for better concealment. This product’s inner lining and snaps are heavy duty as well, making it last long. This motorcycle holster is made of high intensity military-style specifications nylon. It’s scratch-resistant, looking good for a long time. The versipack doesn’t fade easily either. Its main pocket is large enough to fit a 7.5″ pad and an iPad mini. The motorcycle holster bag has a front zippered pocket and side pockets. You can fit various items in the pockets, such as a wallet, keys, and a water bottle. The thermite versipack features a waist sliding adjustment system that makes it comfortable to wear. It’s an excellent motorcycle holster for those who enjoy outdoor activities like hiking, camping, hunting, and travel. The holster is available in four different colors: black, ACU camouflage, coyote brown, and jungle camouflage. The six motorcycle holsters listed above are some of your best options for concealed carry to use when on a motorcycle. Which holster you choose depends on what form of carry you prefer and how you ride your motorcycle. 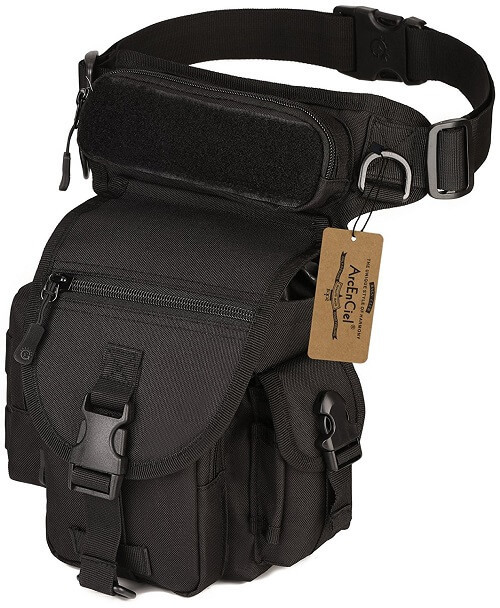 The tactical bag type motorcycle holsters are ideal for those who engage in outdoor activities. Which of the above holsters do you like the most? Hey Buddy!, I found this information for you: "6 Best Motorcycle Holsters – Concealed Carry for Riders". 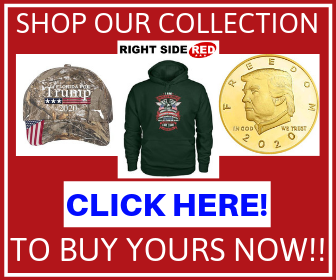 Here is the website link: https://thegunrights.com/best-motorcycle-holster/. Thank you.